An avid collector and restorer of automobiles, from antiques to hot rods, Michael’s passion for cars began at a very young age. His first vehicle was a 1970 Chevrolet Nova SS – 396 CI engine, 375 horsepower, 4 speed, and a bench front seat. Michael had to sell this car in 1976 as his father died suddenly of a heart attack and Michael needed the money for tuition (back in the day when selling a car could actually pay for tuition – ha!). He regretted selling this Nova the day it was gone. Michael graduated from Stonehill College in North Easton, MA in 1978. Previous to founding Quantum Sales, Inc. with Mike King, he ran his own Independent Insurance Agency – which he built with his wife, Mary. At its height they had nine offices throughout Massachusetts – and then decided to retire in 2007. As with many go-getter type people, Michael couldn’t sit still and after meeting Mike King (who was the parts dealer who kept him supplied in GM parts for his restoration projects), Michael retired from retirement and joined forces with Mike to start Quantum Sales, Inc. in 2009. With all of the growth he experienced at the dealership, the one issue Mike saw on a daily basis, was the poor retail customer purchase experience at the parts counter. One after another, customers would leave frustrated over pricing, or lack of quality service given to them by the dealer staff. This was the nucleus for the idea behind Quantum Sales and what he and Michael are now doing. From the age of 13, Mike has been into racing anything with an engine in it. 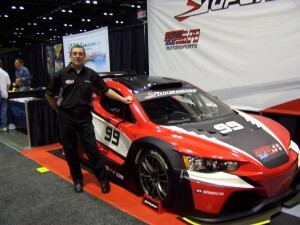 In 1993 he discovered sports car racing with the Sports Car Club of America (SCCA) where he competed in the GT-1 category, an all tube chassis class, with a fiber glass body, 600 hp V-8 engines and capable of speeds in excess of 160 mph. 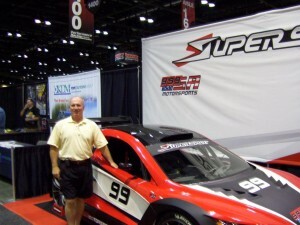 In 2000, his race team earned an invitation to the SCCA National “Runoffs” at Mid Ohio. It was here they earned their 15 minutes of fame by racing for a national championship – which was televised! His team actually raced with and against Paul Newman (yes that Paul Newman), on many occasions, which Mike’s wife, Jan, thinks is pretty cool. Mike now spends his days running Quantum Sales with Michael and restoring a classic 1967 Nova with his 13-year old son Alex (the car will be Alex’s first car).